A pair of thieves in Mexico may have stolen more than they bargained for when they targeted a truck this week. The stolen vehicle was carrying a delicate cargo - a radioactive element used for medical purposes, but one that can be used to make a so-called dirty bomb. The International Atomic Energy Agency announced the theft Wednesday. Mexican authorities told the IAEA that the truck, which was transporting the cobalt-60 teletherapy source from a hospital in Tijuana to a radioactive waste storage center, was stolen Monday in Tepojaco, near Mexico City. An American couple who allegedly kidnapped their two sons and sailed to Havana last week sat in a Florida jail Wednesday after Cuba hastily handed them over to U.S. officials. Cuban authorities turned over the family of four to the U.S. State Department and the FBI after CNN found them in Havana on Tuesday. 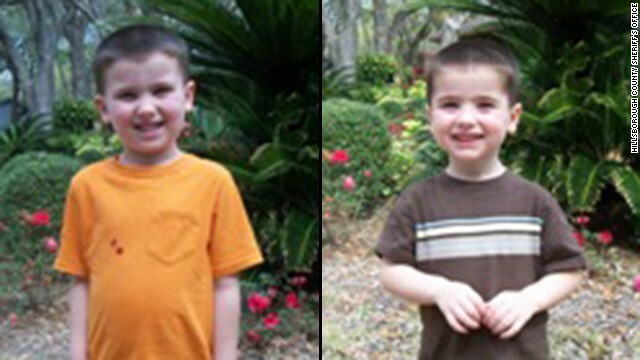 They arrived in Florida early Wednesday, where the two boys ages 2 and 4 will get a medical exam, according to Sheriff David Gee of Hillsborough County. 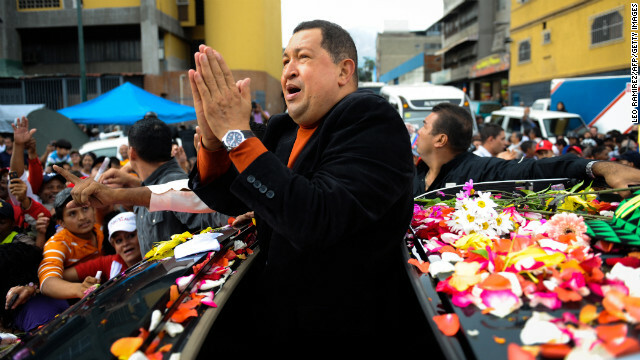 Hugo Chavez was as colorful as he was polarizing. Celebrating his 10th year in power four years ago, he held a jewel-encrusted sword of his hero, 19th-century revolutionary Simon Bolivar, and reminded a Caracas crowd what he was about. "There is no other path to redemption for the human being than socialism," the Venezuelan president said, flanked by like-minded Latin American leaders helping him mark his anniversary. After his death on Tuesday, detractors and fans had plenty to say about his fiery character and leftist pursuits, and it's hard to remember they're talking about the same guy. He wrecked Venezuela's economy and trounced on democratic institutions and people's liberties, some say. He improved the lives of the poor and rightly stood up against "imperialist" nations, say others. One of the more interesting tributes came from Iranian President Mahmoud Ahmadinejad, who declared on his Farsi-language presidential website that Chavez was a great leader who will "resurrect" along with Jesus. The political outcome in the wake of Venezuelan President Hugo Chavez's death remains uncertain, but in plazas across the country Wednesday, his followers made it clear they support a continuation of his policies. Chavez put social programs at the center of his government, and his most fervent supporters credit him with providing their livelihood. [Updated at 2:57 p.m. ET] These are "the most difficult moments we have experienced" regarding Venezuelan President Hugo Chavez's health since his December 11 cancer surgery, Vice President Nicolas Maduro said in a televised address Tuesday. His remarks came after Maduro accused Venezuela's domestic and foreign enemies of "attacking" Chavez, who has publicly battled cancer since 2011. Maduro also said Venezuela has expelled a U.S. Embassy attache who he said was seeking military support for a plot against the government. Read more about Maduro's address here. [Updated at 1:46 p.m. ET] Venezuela accused the domestic and foreign enemies of Venezuela of somehow infecting ailing President Hugo Chavez and expelled a U.S. Embassy attache who it said was seeking military support for a plot against the government, Vice President Nicolas Maduro said Tuesday. David Del Monaco, an Air Force attache for the U.S. Embassy, had been expelled Tuesday "for being implicated in conspiratorial plan, the information ministry said. Some day, he told the press in a lengthy statement, there will be "scientific proof" that Chavez, fighting a battle with cancer, was somehow infected by outsiders. 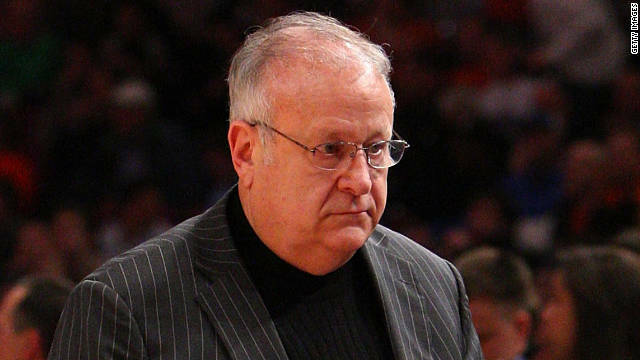 He also called Venezuela's political right-wing an "oligarchy" and an "enemy of the nation." [Updated at 1:22 p.m. ET] Venezuelan Vice President Nicolas Maduro said Tuesday that eventually there will be "scientific proof" that President Hugo Chavez, fighting a battle with cancer, was infected by outsiders. In an address shown on Venezuelan TV, Maduro also said Venezuela has expelled a U.S. Embassy attache who was seeking military support for a plot against the government. [Posted at 12:35 p.m. ET] Venezuelan Vice President Nicolas Maduro is meeting with the country's top officials after the nation's information minister reported that the condition of President Hugo Chavez, fighting a battle with cancer, has worsened, state TV said Tuesday. Chavez first announced he had cancer in 2011. He spent more than two months in treatment in Cuba recently, returning to Venezuela two weeks ago. Since Chavez underwent surgery on December 11, government accounts about his health have been vague. Once again, rumors of Venezuelan President Hugo Chavez's impending death have swept through social media in recent days, fueled by a report that the ailing leader had moved to a presidential residence to live his last days. The government's vagueness and secrecy regarding Chavez has created a hunger - both in and outside of Venezuela - for reliable information about the president's health. 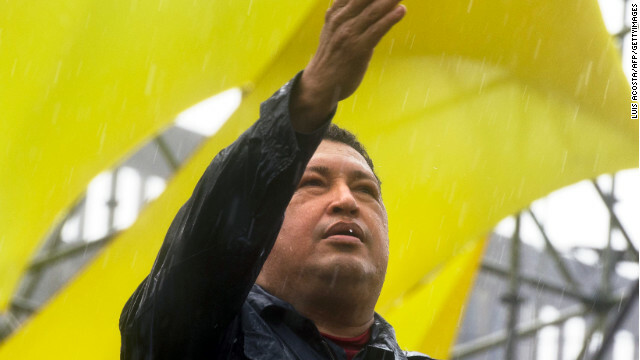 Chavez acknowledges supporters on the streets of Caracas in February of last year. [Updated at 11:24 a.m. ET] Venezuelan President Hugo Chavez is temporarily having difficulty speaking following a procedure in which doctors inserted a tracheal tube, Venezuela's communications minister said Friday. Chavez is going through a difficult recovery period following his recent cancer surgery, Communications Minister Ernesto Villegas said at a news conference. Villegas displayed a picture of Chavez in his hospital bed surrounded by his children. Chavez hasn't appeared in public or on national television since he went to Cuba for cancer surgery in December. 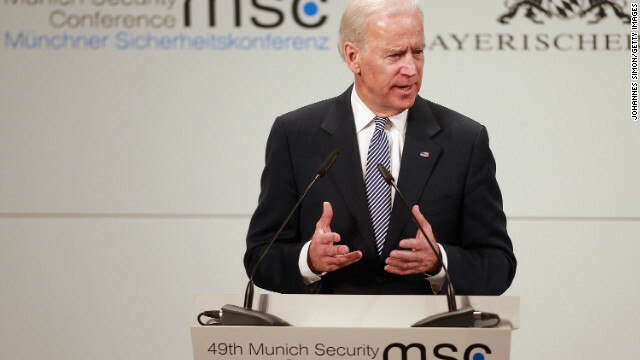 "There has to be an agenda," Biden said in Germany. "We are not just prepared to do it for the exercise." Under the right conditions, the United States is willing to hold talks with the Iranian government, Vice President Joe Biden said Saturday. The United States "would be prepared to meet bilaterally with the Iranian leadership," he said during a speech at the Munich Security Conference. The two nations are at odds, primarily over Iran's nuclear program, but there is a standing offer for talks, and "there has to be an agenda that they are prepared to speak to," Biden said. "We are not just prepared to do it for the exercise." Meanwhile, Iranian Foreign Minister Ali Akbar Salehi said in an interview with Ithe semi-official Fars news agency that he hopes new U.S. Secretary of State John Kerry will contribute to softening Washington's policies towards Iran and that Kerry "would at least rectify part of the U.S. government's anti-Iranian stance and policies." 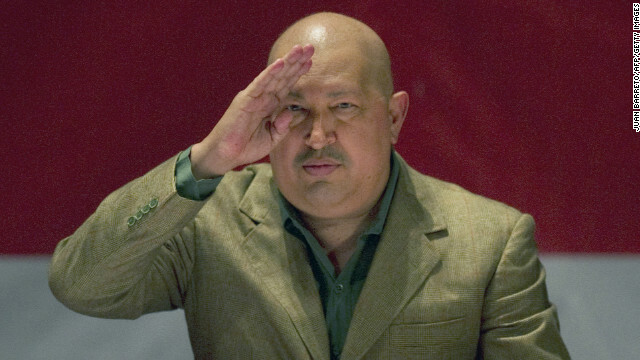 Filed under: Iraq • Politics • U.S.
Chavez salutes to an audience in Caracas in November 2011. Chavez has undergone cancer treatment in Cuba, beginning in 2011. Venezuela's ailing President Hugo Chavez will not lose his position even if he is not sworn in on Thursday for a new term, the country's Supreme Court said Wednesday, reaffirming the position of the government. Chavez can be sworn in at a later date in front of the court, it said. It also ruled that he is on a permitted leave, and that there is not a permanent absence, which would have triggered new elections under the constitution. Officials said yesterday that medical treatment in Cuba will keep Chavez from being sworn in for his new term this week. The 58-year-old Venezuelan president has been treated for cancer in Cuba for the past month. Legendary professional football coach and ESPN analyst Mike Ditka is recovering from a stroke he suffered Friday, the sports network said. Ditka, 73, will not be on ESPN's football shows this weekend, the network said. But Ditka "wanted everyone to know he's OK," ESPN senior coordinating producer Seth Markman said via Twitter. [Updated at 9:27 p.m. 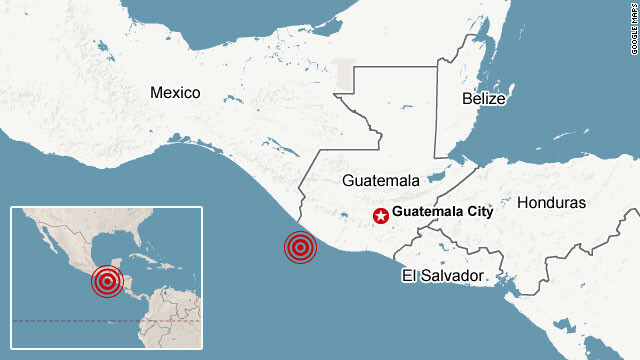 ET] At least 48 people were killed as a result of the earthquake, Guatemalan President Otto Perez Molina said. [Updated at 5:07 p.m. ET] The death toll in the Guatemalan quake has risen to at least 29, said David de Leon, a spokesman for the country's disaster relief agency. Restoring electricity to all New Yorkers remains the top priority for the state, New York Gov. Andrew Cuomo said Saturday. He is pushing utilities to do everything they can to respond to the power outage, and threatened action against those electric companies that weren't prepared for the emergency. "If they weren't prepared, the state will hold them accountable," Cuomo said. As of Saturday, power had been restored to 60% of those who had lost it, he said. In contrast, the governor had praise for the Metropolitan Transportation Authority, which he said has restored 80% of subway services in New York City. "Not only did they try hard, but they got it done," he said. The gas shortage that created long lines at stations is also being addressed. Eight million gallons of fuel have been delivered to gas stations, and 28 million additional gallons will be delivered over the next two days, he said. Police are looking for a gunman after the shooting at the Georgia megachurch of televangelist Creflo Dollar. Editor's note: A former employee of televangelist Creflo Dollar's Atlanta-area megachurch is suspected of fatally shooting one of the church's volunteer staff members as the volunteer was leading a prayer service there Wednesday morning, police say. The suspect, Floyd Palmer, 52, was arrested hours later at an Atlanta mall, the U.S. Marshals Service told CNN. Below are developments as they come in; for more on the shooting and Dollar's church, check out this story, and CNN affiliates WXIA, WSB and WGCL. [Updated at 4:27 p.m. ET] The suspect in the shooting, Floyd Palmer, 52, was arrested Wednesday afternoon at Atlanta's Lenox Square mall, the U.S. Marshals Service says. 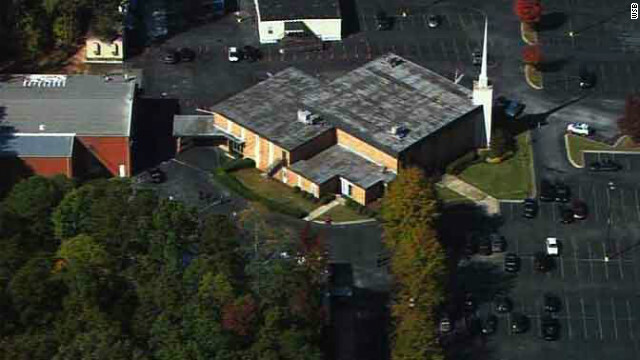 Earlier, police said Palmer was an former employee of World Changers Church International in College Park, Georgia, where the shooting happened Wednesday morning during a prayer service. 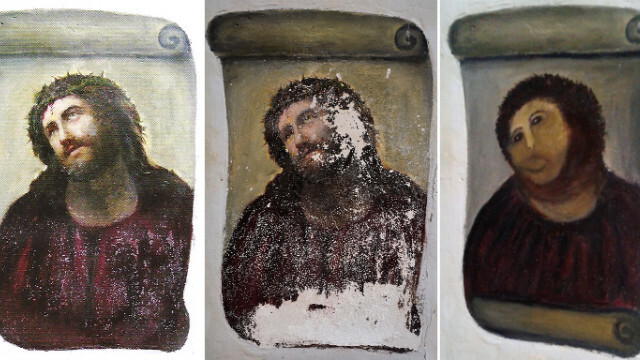 Pictures provided by the Center for Borja Studies show the original version of the painting Ecce Homo, by 19th-century painter Elias Garcia Martinez, from left, the deteriorated version the center recently documented, and the version "restored" by a parishioner. The efforts of an elderly parishioner to restore a 120-year-old fresco on a column inside a Spanish church have some wondering if a Mr. Bean movie was the inspiration for the effort. The fresco, titled Ecce Homo (Behold the Man), is a depiction of Jesus Christ with a crown of thorns. It was painted on a wall of the Sanctuary of Mercy at Borja, near Zaragoza, Spain, by artist Elias Garcia Martinez more than a century ago. Its troubling "restoration" occurred after the local Center for Borja Studies received the donation of a canvas done by Garcia from one his granddaughters who lives nearby, according to the center's blog. Center staff noted that the only other known work by Garcia in the area was Ecce Homo, went to the church to photograph the fresco, and realized it was in bad shape. The gunman who killed two others before police ended his life in a shootout near Texas A&M University had been battling mental health issues on and off for years, his mother said. Police say Thomas Caffall, known to his family as "Tres," killed a constable and a bystander and injured four others before police fatally shot him. His mother, Linda Weaver, said the family became worried after Caffall quit his job in January and announced that he would never work again. "We had been very concerned about him," Weaver told CNN. Caffall had withdrawn from the family, and the fear was that he might attempt suicide, his mother said. But she never imagined that her son would hurt anyone else, or that his end would come so violently. "Losing a child is a parent's worst nightmare. This is worse," she said.